Chovevei Torah Zal. Illustration Photo. 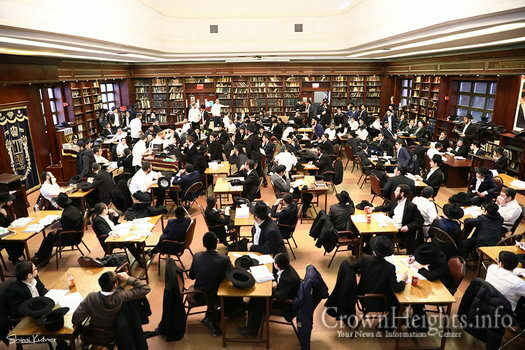 A video, which circulated on social media, showing a group of Bochurim removing a certain sign from the bookcases of the Chovevei Torah Zal, prompted the Hanholoh to release a strong statement condemning the video, and clarifying that the matter had already been resolved internally, and that number of the Bochurim in the video had nothing to do with the actions of those few. Many of you have seen a video circulating, documenting some bochurim removing the lettering of Yechi from the bookcases in our Beis Medrash. Regardless of where you stand in your belief, witnessing vandalism is always shocking and a reason for concern. We the hanhala condemn such behaviour in the strongest manner – this is unacceptable and should have never happened! A. 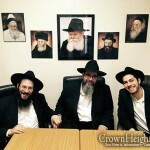 The boys involved in removing the letters are very fine bochurim that do not have any connection with politics and most certainly would never intentionally destroy yeshiva property . On the contrary, throughout the past two years we have first hand witnessed how they have respectfully participated in all events regardless of “party” affiliation. B. The Yechi letters were not put up by Yeshiva administration, but by fellow bochurim only a few short months ago on Yud Shvat. In keeping with Yeshiva policy not to take a political stand, the Hanholo decided not to take any action that would ‘stir the winds’, and to reevaluate our position at a later time. The following day, the boys involved owned up to it and were ready to pay the full amount to compensate the damage. The story should have ended there! Our Yeshiva has always prided itself in having a warm family relationship between the bochurim built on love and respect – this was a unprecedented mistake. It was corrected. And “מודה ועוזב ירוחם”. 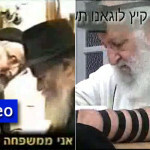 C. Unfortunately, some individuals (primarily outside of yeshiva) decided to take matters into their hands and in unethical and unlawful manners, they took hold of the footage and released it to the public, with drummed up drama of graphics, sound, and subtitles to create a unnecessary Tumult in Lubavitch. This is untruthful and is disgraceful. Additionally, the video is מוציא שם רע on the older bochurim featured in the video (Hertz, Pearson & Druk) These bochurim had NOTHING to do with the removal of the letters, rather they were learning in the Zal at the time -as they do on many late nights-. Their picture was attached to the video without justification. In conclusion, this matter was already settled before the video went out. The people who made the video and distributed the video should consult a Rov how to obtain mechila from the people they shamed .ברבים The bochurim who removed the letters have already asked for Mechila in a proper manner. p.s. If you have any concerns, feel free to reach out to us at the email address on the top of the letterhead. Thank you.